I could argue either way on the “should Lee’s “lost” novel be published or shouldn’t it” question. As a greedy reader, addicted to the literature of my native South, a big part of me wants desperately to get my grubby hands on the new novel coming out this July. However, as Harper Lee is still alive and kicking, as well as reportedly mostly blind and deaf, a pang of conscience grips me. 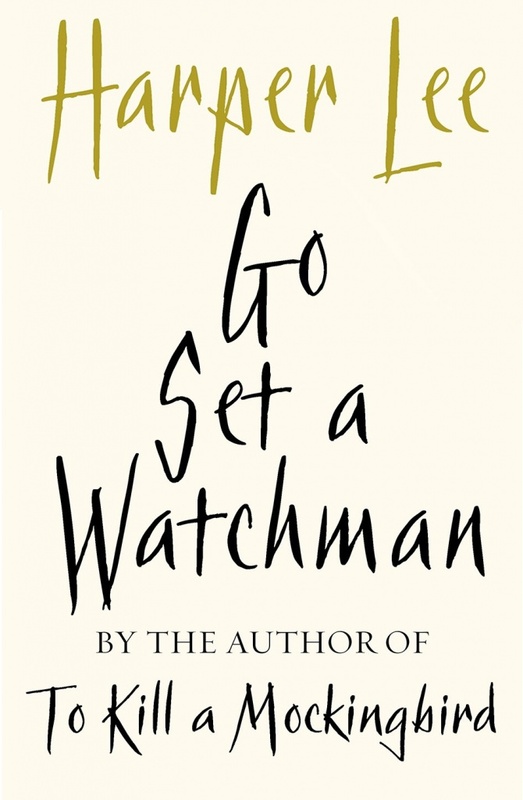 Is the publication of Go Set a Watchman her own decision or is she being manipulated in her aged and vulnerable state? Her current lawyer (following the death of her sister Alice at age 100, Lee’s former attorney and fierce protector) insists Miss Lee is both aware and pleased her first manuscript has been found and will be published this summer. Yet, the timing – so soon after Alice’s death at the end of last year – could hardly be more suspect. With her sister out of the way, her life is in the hands of people who may or may not have a personal stake in the guaranteed millions of dollars of revenue. Go Set a Watchman is set to explode. Harper Lee retired from public life decades ago, expressing her firm dislike of speaking about To Kill a Mockingbird – with very few exceptions. With her sister acting as buffer, Miss Lee has lead the life of a recluse. She’s had no interest in interviewing or any sort of public discourse on her work. So, why the reversal? Why would she go against a lifetime contention TKAM was to be her one and only work and she had nothing more to say? This latest case is one in a long string of similar questionable situations concerning posthumous publication of an author’s works. Writers such as: Kafka, Salinger, Jane Austen, Willa Cather, et. al., left express instructions certain pieces, and/or letters, never see the light of day. These authors were dead and buried before publishers grabbed the manuscripts and ran with them but it still feels borderline uncomfortable. Never mind the writers will never know their writings were published. Unlike the authors listed above, Harper Lee is still on this earthly plane, for how long no one can know. How crippled she is by dementia isn’t clear and could easily be masked by those in control of her estate. In a way, she may as well be dead if her mental capacities aren’t clear enough to realize what’s going on around her, how her previous instructions are being honored or not. Which brings up the question, is there no limit to which an artist’s work belongs to the world at large? I’m not saying there’s an answer. I know I’ll buy and read the book and any opinions I express won’t influence anyone one way or the other. It’s purely theoretical, this question of morality. It continues to gnaw at me but it’s certainly not the only instance in which I’m conflicted. If it were up to me, Cassandra would have gone against Jane Austen’s wishes, publishing all her letters. Kafka and Salinger’s works would have been published as they have been and the partial manuscript David Foster Wallace left behind would be available to eager readers. I am not the paragon of morality and I don’t claim to be. Yet, I have to ask the questions. I need to mull them over, even as I’m racing through “forbidden” books never intended for public consumption. Does the material belong to me? Strictly speaking, I believe the answer is no. Should I be in possession of it? Perhaps not but that doesn’t stop me. Do I feel I’ve taken the moral high-ground? Not really. What does this make me and what does this make readers like me? Let the repercussions fall where they may; I am a fallible human but an honest one. Karma, it’s over to you, for better or worse.